Competitive eaters from across the country are training their stomachs for New York-New York Hotel & Casino’s 20th annual qualifying event for the 101st Annual Nathan’s Famous Fourth of July International Hot Dog Eating Contest in Coney Island, New York. 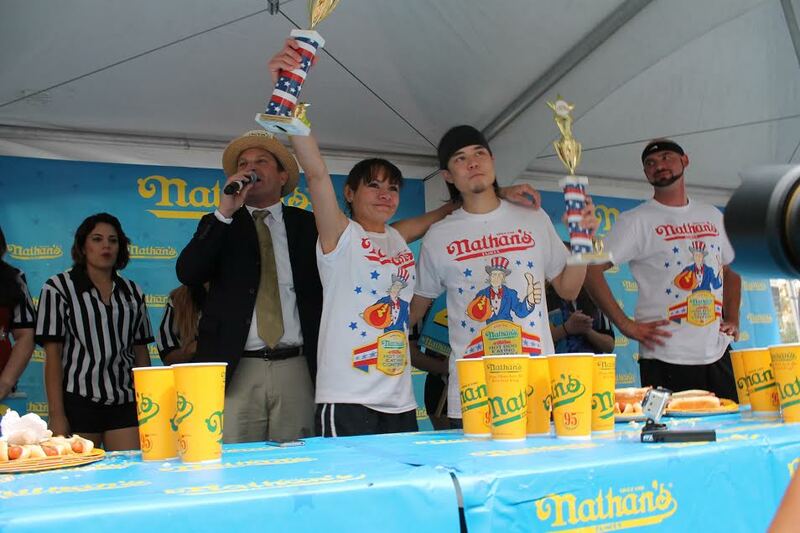 The main event will take place Saturday, April 22 at 3 p.m. as trained male and female competitors gather at Brooklyn Bridge at New York-New York to compete for the title “Nevada Hot Dog Eating Champion.” The two contest winners will advance to the July 4 finals in New York. A special employee contest will begin at 1 p.m. followed by the service men and women contest at 2:30 p.m. Admission is free and open to the public. The Nathan’s Famous International Hot Dog Eating Contest has occurred every July 4 in Coney Island since 1916, the year Nathan Handwerker opened the legendary restaurant. Major League Eating, the governing body of all stomach-centric sports, sanctions the Nathan’s Famous Hot Dog Eating Circuit, ensuring the contests are judged professionally and that safety standards are in place at each event.